The military products Azerbaijan purchased from Russia exceed $5 billion and tend to grow, Azerbaijani President Ilham Aliyev said. “Vladimir Vladimirovich, first of all I would like to thank you for the invitation to visit Russia, for hospitality and for the warm welcome,” Ilham Aliyev said. “Of course, transportation projects play an important role in this. Russia and Azerbaijan are neighbors,” he said. “We are linked through railways, roads, the air communication is very active – both passenger and cargo. We thoroughly discussed further steps to create new transport opportunities for our countries, as well as for our neighbors." "Vladimir Vladimirovich has noted the importance of the North-South project. Azerbaijan, for its part, has already carried out all the important infrastructure projects in this direction in its territory. In comparison with last year, 100 times more cargo was transported through the North-South transport corridor this year. And this is only a beginning because this large-scale global project will encompass countries and continents. Thus, the transit opportunities of our countries will increase and thousands of jobs will be created,” Ilham Aliyev said. “In other words, the relations between our countries are those of a full-fledged partnership, friendship and good-neighborliness. 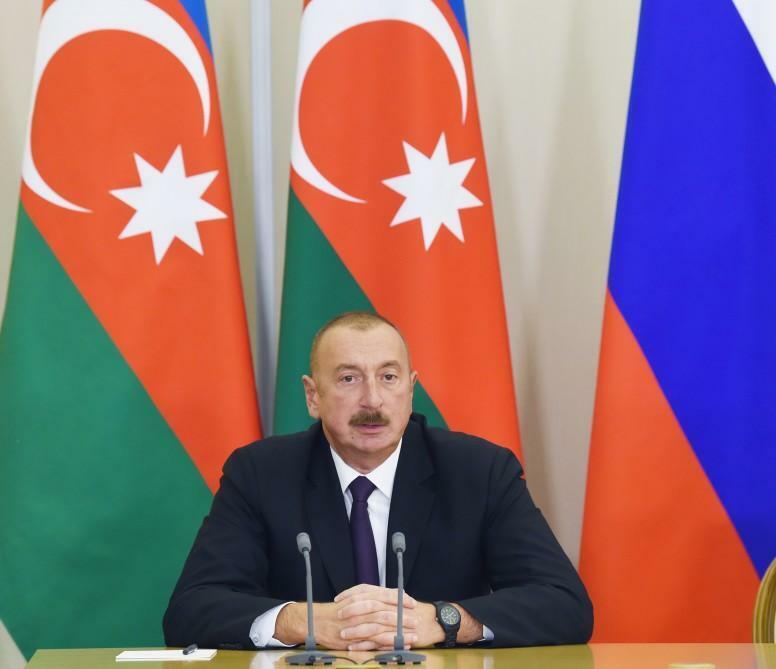 Such as they should be between good friends and neighbors,” Ilham Aliyev said.